Over the past weeks I have been nominated for 4 different awards and can’ t deny they all have come as lovely surprises. It means a lot to me to realize something I’ ve written has been noticed and even enjoyed. I want to thank you sincerely – your blogs, every single post and comment made are my inspirations. I have always (well, my “always” on blogosphere lasts only for around 5 months) tried my best to follow the rules of awards but this time will make it a bit different. 4 in 1. Balancing in my way a bit the number of bloggers I have to nominate for each award and the questions to be answered/things to be told. Our blogs speak louder than any descriptions, don’ t they? 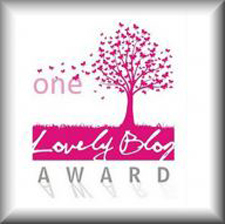 I was nominated for the One Lovely Blog Award by http://arjungabriel.wordpress.com/ – thank you very much, ArjunGabriel! His blog reveals the world around through many beautiful photos. The Reader Appreciation Award was sent to me by http://pommepal.wordpress.com/. 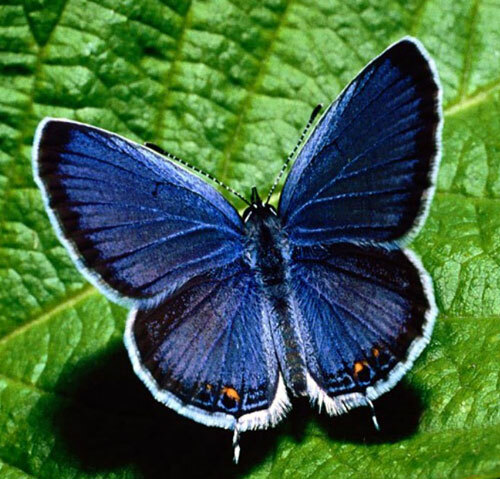 Her fascinating blog is of a lifetime of experiences with new explorings continuing. Thank you, Pommepal! Your favourite colour? Red and black. Though a radio host once tried to persuade me that black isn’ t a colour. Your favourite animal? I like tigers a lot but will have to go with a cat. The very particular one – mine. Your favourite non-alcoholic drink? A cup of green tea always tastes good. Facebook or Twitter? Hmmm, more of a Facebook person I guess. Your favourite pattern? Lines, curves and the undescribable ones. Do you prefer getting or giving presents? Both are such a pleasure. How could it not be?! Your favourite number? For some reason I think it is 4. Your favourite day of the week? Wednesday. When the difficult start has passed and the inevitable end still is away. Your favourite flower? Hyacinth. Fragile and strong at the same time and then the scent…mmmm. What is your passion? Living and loving. A nice surprise about being nominated for the Beautiful Blogger Award came to me from http://purplerosemary.com/. Thank you, PurpleRosemary! Her blog is a festival of photography, words, emotions and inspiration. For the Wonderful Team Member Readership Award I was nominated by http://soumyav.wordpress.com. Each one of her poems is a true piece of art – heartfelt and profound. Thank you, Soumya! 2. Over a period of 7 days (1 week), the Nominee shall nominate 14 readers that he or she appreciates – this can be done at any rate during the week. It can be all on one day or a few on one day and a few on another day, as most convenient to the Nominee. 4. 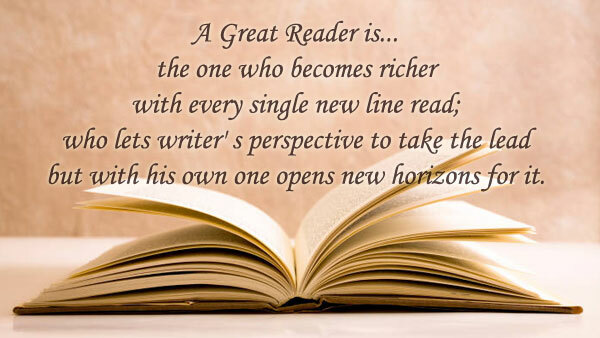 The Nominee must finish this sentence and post: ”A Great reader is…”. Congratulations and let’ s keep inspiring each other through words and photos on our blogs! 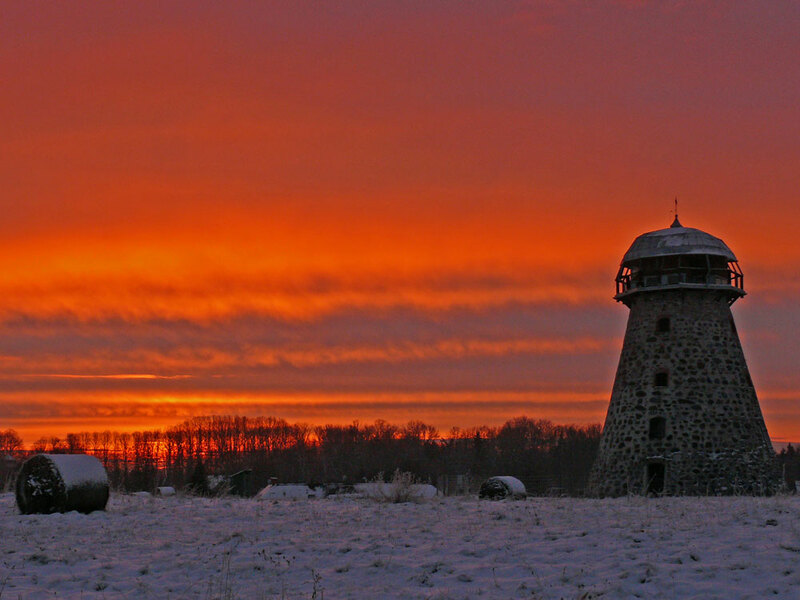 The yearly Līgo celebration happens every summer solstice in Latvia. and our appreciation of each other. to join the Līgo Circle of Appreciation. Yes, life is full of surprises (a few awards lately – thank you, readers!) and I have been nominated for the Liebster Blog Award by Suraiya. The way she knows exactly how to create those filigree masterpieces of poetry is amazing. Thank you, my dear Suraiya! 1. The book that changed your life: I did some serious thinking on this one and decided it would be just fair to go with my first “ABC book” because after that one…the whole wide world of books was open. And there are so many of them that have changed my life bit by bit. 2. Your favourite author/writer: I won’ t call them “favourites” but there’ re a couple of writers whose books have always been (are) a pleasant discovery for me. With Gabriel García Márquez, Khaled Hosseini, Alessandro Baricco, Kahlil Gibran, Jhumpa Lahiri among them. 3. Your pet and its name: You know what people say…about dogs having owners and cats having staff… I am that “staff” – for Tibeta. 4. The craziest thing you have done: I think I would have to mention my decision to study Sinology (that has very little to do with sins) and my work as a DJ/radio host. Not sure which one was more crazy back then. 5. Your best friend: Love Of My Life – the Highlander with the Orient in his heart. 6. A childhood prank: Once I escaped kindergarten without warning anyone – I simply wanted to be at home very much. Came as a surprise or more precisely – like a shock. For all the adults around. 7. Favourite musician: Gordon Matthew Thomas Sumner. Doesn’ t ring a bell? He is also known as Sting. 8. A place you would love to visit: There are so many but the most – the Middle East, South America and Central Asia. 9. If you had just 5 minutes left to live what is the one thing you would do? Hmm, would I know those are my last ones or not? Live it with a look back, no matter where life would have taken me. And most probably wish secretly there was a touch more time. 11. How do you define love? The essence of life. Last week I was nominated for One Lovely Blog Award by Chris – a blogger with the gift of capturing moments, mood and feelings in photos in really unique way. Thank you, it was a surprise! I was recently nominated for the Wonderful Team Member Readership Award by Managua, who himself is not just the writer mastering many ways to capture the reader’ s interest but also a great reader whose opinion and comments are truly valuable. Thank you! PLEASE NOTE RULES CAN BE ADDED TO/AMENDED if deemed appropriate; let’s be creative, and let’s grow & improve, but let’s also keep to the spirit of the award.